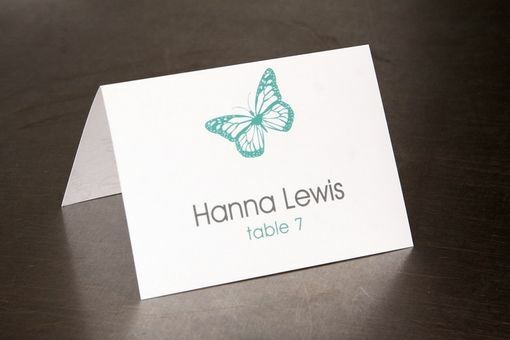 Each place card is professionally printed with your guest name(s) and table number. The butterflies and font color can be changed to suit your color palette. Convo with your colors and I will send you a free color proof. 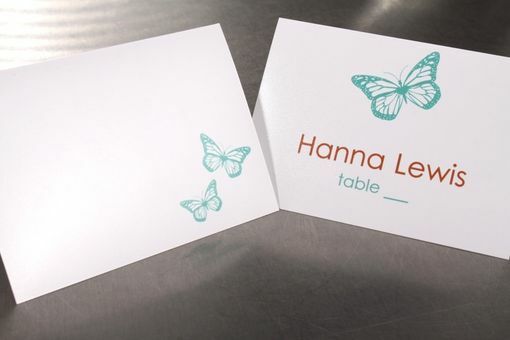 These beautiful place cards are hand scored and arrive folded, pre-printed with your guests names and table number, and in alphabetical order.